Allison Dyer MSc BSc C Psychol is a British Psychological Society (BPS) Chartered Psychologist and a British Association of Sport and Exercise Sciences (BASES) Accredited Sport Psychologist. She is also a Football Association (FA) Accredited Sport Psychology Tutor. 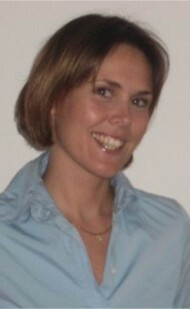 Allison is the resident sport psychologist for the PGA EuroPro Tour. She has presented a range of sport psychology workshops and worked on a one-to-one basis with numerous national, elite and professional level athletes from a variety of sporting arenas including the European Tour, Challenge Tour, EuroPro Tour, the England Ladies Golf Association, the Football Association, England Netball, Welsh Squash, UK Athletics and British Diving. Allison has compiled and edited various education packs, workbooks, books and articles providing athletes and coaches with comprehensive guides to leading edge psychology principles. To ensure continuing professional development Allison regularly attends sport science conferences, symposiums and workshops. She is also research active and is currently working on research projects which look at adherence to fitness training and organisational stress experienced by professional golfers. Allison is currently working with a variety of professional golfers competing on the EuroPro Tour, Challenge Tour and European Tour. She also works with club level and junior golfers. The TSP Sport Psychologist abides by the British Association of Sport and Exercise Scientists (BASES) and British Psychological Society (BPS) Codes of Conduct at all times.